Salkantay Trek Peru 5Days to Machu Picchu, it is one of the best alternative trekking options, designed for those who wish to see and experience different ecosystems atmosphere. 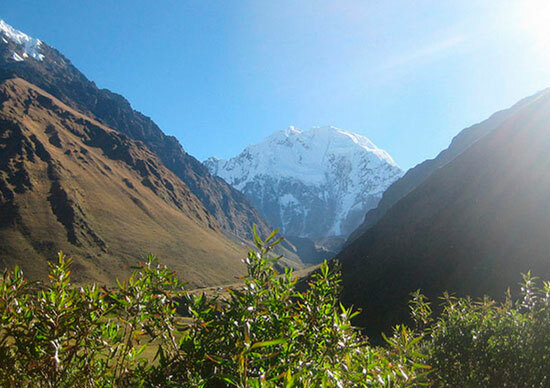 Salkantay Trek Peru 5Days It became a famous 5-day trip to Machu Picchu, including overnights in comfortable and ecological accommodations, camps with accommodations similar to the igloo or in basic camping equipment, the options are many. 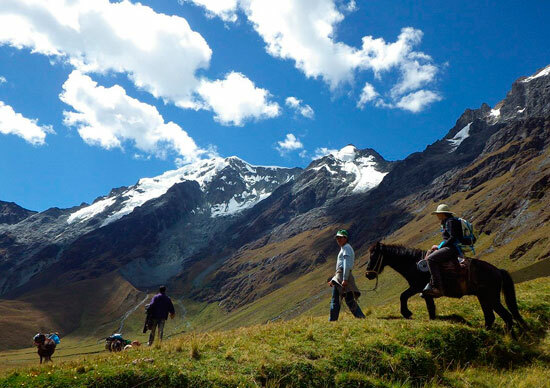 Salkantay Trek Peru 5Days, nowadays, it is a route available for all the passionate hikers in nature.. Witness yourself a living ancient culture in remote small villages, enjoy Salkantay Trek Peru 5Days, with real life experiences. The name of this mountain is a contraction that comes from our mother language QUECHUA, Salqa means sullen or wild and Antay means, produce avalanches. The name of Apu, usually wrote before it, which the Quechuas define as a “great sacred mountains”. Salkantay is one of the highest mountains in the Cusco region , Nevertheless it is the greatest in its splendid isolation, the greatness of Vilcanota mountain range. At 05 am. We pick you up from your hotel and we will begin by bus to Mollepata (2 800 m.s.n.m. or 9116 feet). This is a beautiful scenic drive through the valley of Limatambo where you can take photos of the Apurimac valley. Upon reaching the town of Mollepata we will have breakfast, we will continue driving for one hour more to Challacancha which is star point this is where we will find the muleteers and mules to begin our walk towards Soraypampa (3825 m.s.n.m. or 12,371 feet). After 4 hours of hiking lunch, and then we will continue to our first camp Soraypampa. Dinner and overnight. This day we will arrive to the first high pass (4 650 m.s.n.m. o 15 091 feet), you will see the snowcapped Salkantay mountain; with the snowcapped mountains of Huamantay in the right side and Tucarhuay in the left side. Once here, we will observe the Salkantay glacier (6 271 m.s.n.m. o 20 574 pies) and the magnificent view of avalanches. 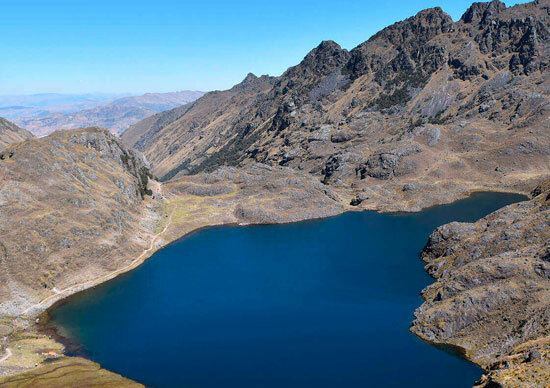 To continue, we will pass for spectacular places into the vast Peruvian territory that lead to the gradual descend of our trek through cloud forest, where the vegetation and wild life will be more abundant. Colpani camping (2 900 m.s.n.m. o 9 514 feet). Dinner & Overnight. After the breakfast, we will begin our walk at 06:30 am, through the high jungle and then we will cross Lluskamayo River, plus a small variety of streams. We will pass for valleys and will have wonderful experiences next to the exotic flora and fauna of the region, plus the amazing view of cataracts. We will stop in Playa – Sahuayaco (2 250 m.s.n.m. or 7 381 feet) for lunch; later, we will take a little bus that will bring us to Santa Teresa (1 900 m.s.n.m. or 6 233 feet). In this place we will camp and later we will relax into thermal baths of Cocalmayo. After the breakfast we will begin the trek into Santa Teresa valley with direction to Hidroeléctrica, place where we will lunch. Later we will continue with our walk with a majestic view of Machu Picchu and the principal sacred mountain of the Incas as: Huayna Picchu, Putucusi and including the snowcapped Salkantay Mountain. After of 6 hours of walk, we will arrive to Aguas Calientes town (1 900 m.s.n.m. or 6 233 feet), where we will pass the night. We wake up at 04:00 am; then we start to walk to Machu Picchu citadel. , when will be in Machu Picchu check point the group will join and then start the Guiding tour for about 2 hours, after that, you will have free time for climb Huayna Picchu (previous payment) and visit the different places recommended by our guide, like: The Inti Punku and Machu Picchu Mountain. At last, we will return by train to Ollantaytambo city and then by bus to Cusco.